With the holidays approaching, you’ll want to start thinking about what to get that special maker in your life. While electronics can often come with a high price tag, we have found plenty of cool, affordable maker gifts! When brainstorming maker gift ideas, think about new technology. Maybe there’s a fresh single-board computer, a neat case, or a comprehensive kit. Check out the best holiday gifts for makers and DIYers for the 2018 holiday season! Bare Conductive has a history of providing accessible products, and the Bare Conductive Touch Board is just one of many. 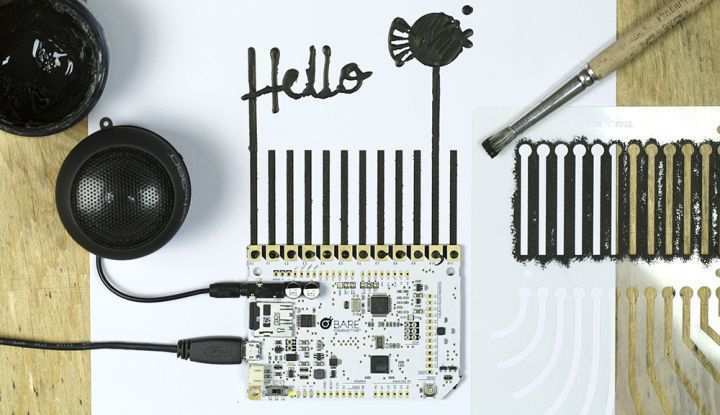 The Touch Board works just like a typical Arduino Uno, but it can be used with Bare Conductive’s conductive paint to draw circuits that can react to touch or detect objects at a distance! The Touch Board also has a built-in MP3 player and amplifier that connects to speakers via a 3.5mm jack, enabling easy playback of audio. With tons of Bare Conductive projects you can complete, the Bare Conductive Touch Board Starter Kit is easily one of the best gifts for makers this holiday season. You can cobble together tons of Bare Conductive projects including an awesome interactive LEGO wall. Can we turn a piece of paper into a lamp? Well using the Bare Conductive Electric Paint Lamp Kit anyone can create their own lamp with a custom user interface created using conductive paint. 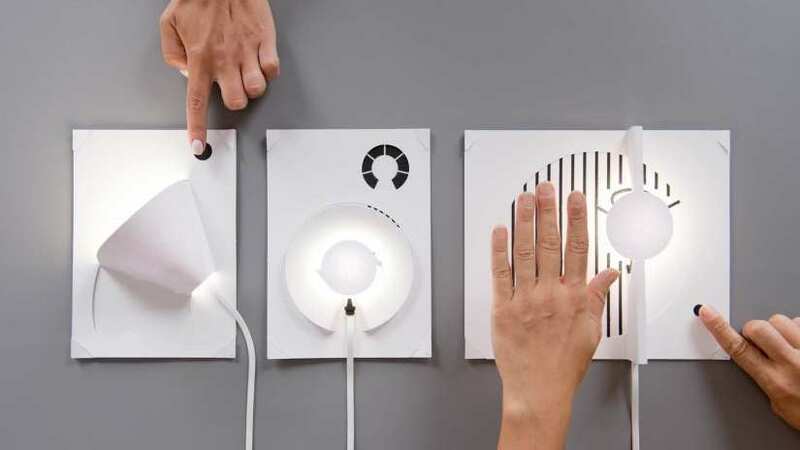 Just paint on your circuit, fold the paper around your lamp and then let it shine! An ideal kit for those of us new to the world of conductive paints. Bare Conductive paint pens also provide ample opportunity to level up your cosplay. With its versatility, the Bare Conductive Electric Paint Lamp Kit is easily one of the best holiday gifts for makers in 2018! Arcade machines are awesome, Les has made two of them this year and one of those was the awesome Pimoroni Picade, and these new buttons merge awesome arcade buttons with APA102 RGB LEDs. Performing a similar function to Neopixels, APA102 LEDs enable our clear buttons to glow any colour we wish! All we need to do is connect the buttons to our Picade X HAT hack header and write some code! So now your cabinet can generate awesome light patterns while you play your favourite retro games. Alternatively, make your own DIY Nintendo 64 with an Odroid XU4. Robots are cool, but for those of us who have never built one, there are many traps that we can fall into. Perhaps for your first robot build a kit such as 4Tronix’s Robo:bit should be on your shopping list? 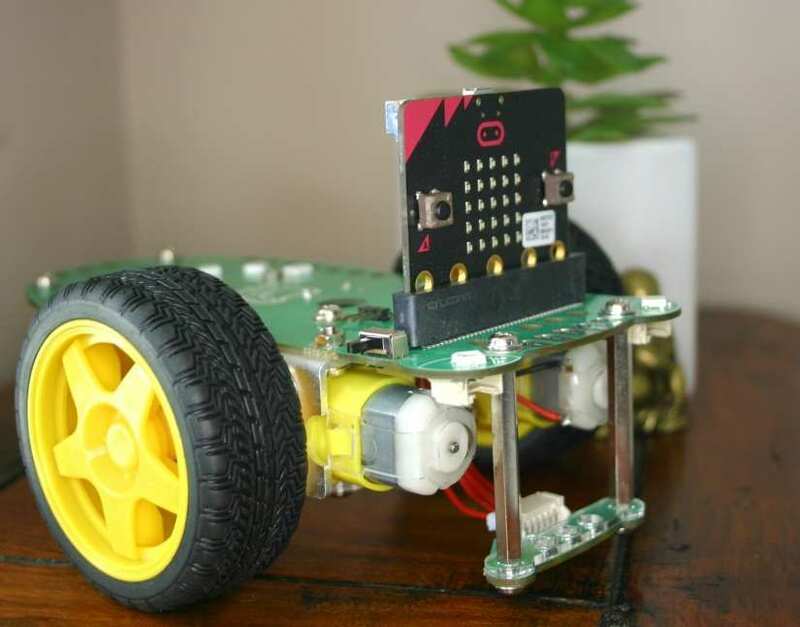 Powered by the micro:bit, this robot kit requires a little assembly with a screwdriver but after that you are ready to programme the robot using the Makecode block library which is easy to use and abstracts the code just enough so that younger makers can take their first steps with robotics. Ultimately, the 4Tronix Robo Bit Buggy is an excellent introductory robot kit. With the Bit:Commander you can make your own remote controller for micro:bit robotics, make games using the six built-in neopixels and buzzer. Create precision controls for experiments using the analog inputs of the dial and thumbstick. 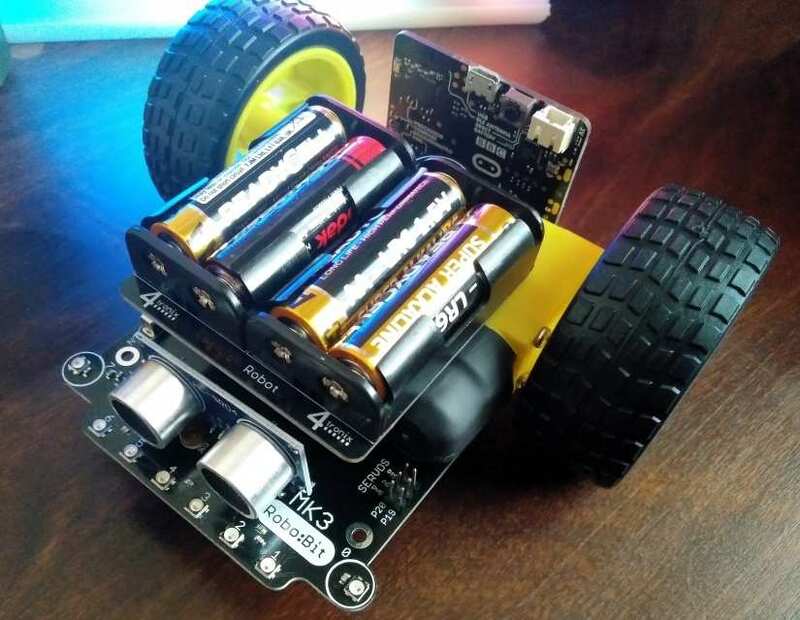 Featuring a 3 x AA battery pack the 4Tronix Bit Commander is an ideal accompaniment to 4Tronix’s range of robots, in fact, it can be used with any micro:bit powered robotics project. So, plenty of value in this small package. We loved Gigglebot. It was so easy to build, so those little makers can build their first robot on Christmas morning. Designed for the micro:bit board, Gigglebot offers plenty of neopixels, line following sensors, and now ultrasonic sensors for eager makers to build autonomous robots using the low-cost micro:bit board. 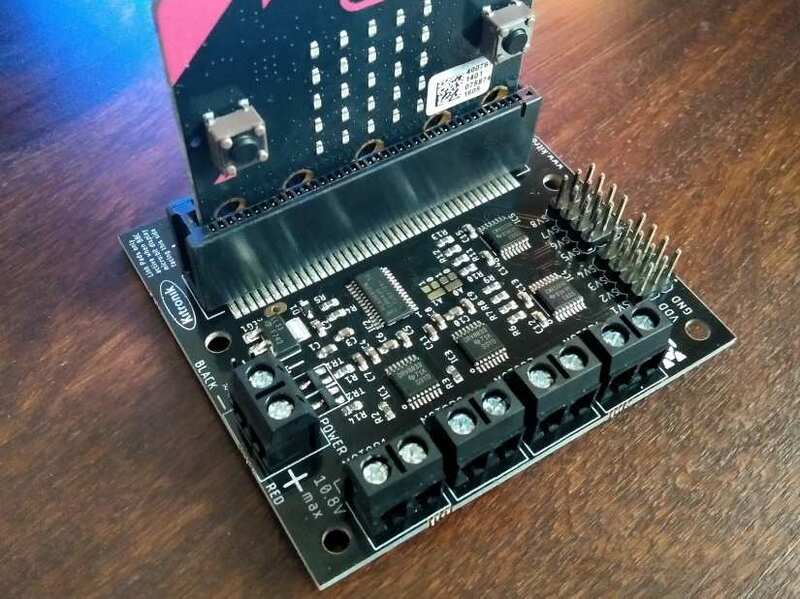 The makecode block library is well suited to the target age of the maker, but those from a Python background can also get hands-on and write MicroPython code for their Gigglebot project. Two wheel drive robotics…pffft! With the all-in-one robotics board from Kitronik we have a board that can power four wheels individually! Yes, there are four DRV8833 motor controllers on this board, capable of powering four DC motors, or two stepper motors…oh and there's more! We can control eight stepper motors via dedicated connectors. Just plug the micro:bit into the slot, supply power for the motors via the screw terminal, plug in your motors and away you go! But what about the rest of the GPIO pins present on the micro:bit? Well, fear not, as all we need is a soldering iron to extend the full complement of pins for our micro:bit! 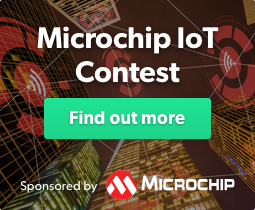 Simon Monk is a renowned author and his knowledge of electronics is expansive. 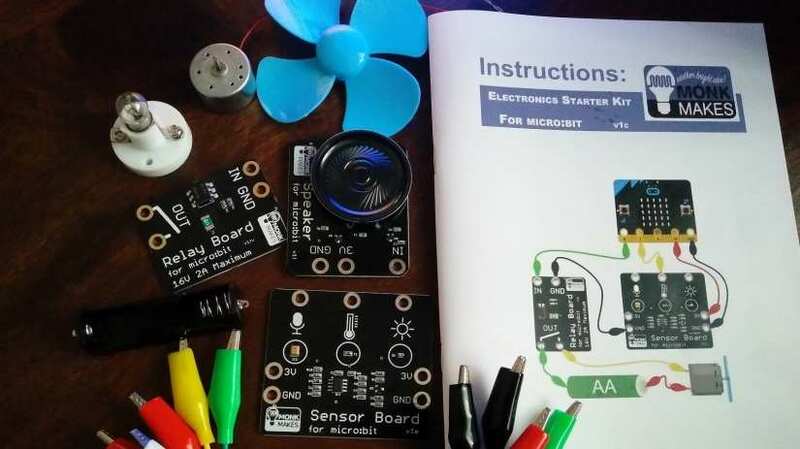 Simon has placed his knowledge into a series of kits and one of those is the Electronics Starter kit for micro:bit. This kit contains a relay board, enabling control of higher voltages (up to 16V at 2A), a speaker to produce melodies, beeps etc. Lastly, we have a sensor board with a microphone, a temperature sensor and a light sensor. All of these boards, along with a motor, croc clips and a bulb are used along with the included instruction guide. This is Christmas morning at its best! Assembling inventions and enjoying ourselves. The Raspberry Pi has only been with us for a little over six years, but in that time it has changed the face of single board computers and enabled many to take their first steps into projects. The Pi 3B+ released earlier this year sees a slight increase in performance, with the quad-core CPU now running at 1.4GHz, and we now have faster Ethernet and 5GHz WiFi all in a board that retains the traditional layout of the Raspberry Pi. And it still retails for $35! If your maker doesn’t have one of these, then perhaps you should treat them to some Raspberry Pi this Christmas. For some inspiration, check out the 10 best Raspberry Pi projects. 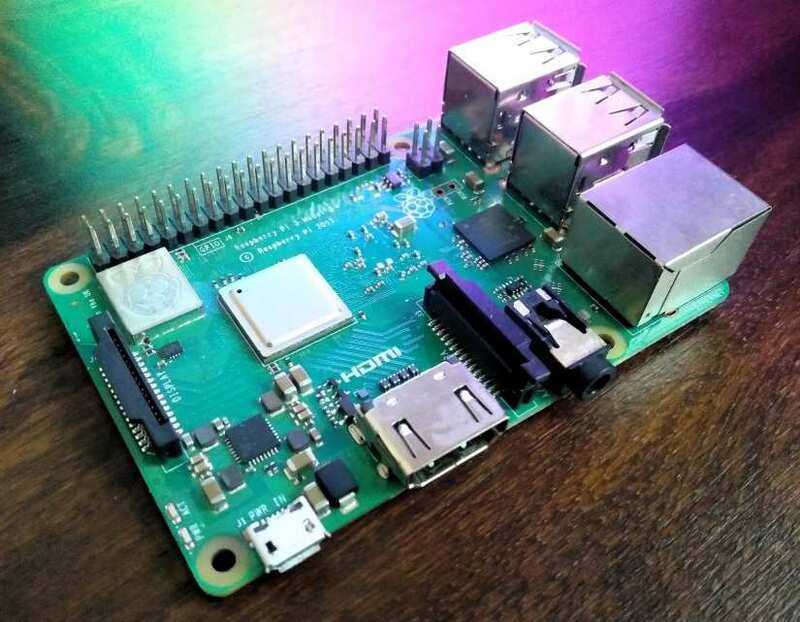 With the ability to function as everything from a retro game console to a web server and home automation hub, a Raspberry Pi is easily one of the best gifts for DIYers this holiday season. Not as powerful as the mighty Pi 3 B+ but the Pi Zero W is a formidable choice for Internet of Things (IoT) projects thanks to its small size, low cost and built-in WiFi and Bluetooth. This tiny board is no bigger than a stick of gum and yet we can use it with the same software as other Pi and easily integrate it into projects. The Pi Zero W is a wonderful tool for budget makes which require a microprocessor and Internet connectivity. Makers always need to have a few of these to hand, just in case! Like its Raspberry Pi 3 brethren, the Pi Zero is a top choice among the best gifts for tinkerers. 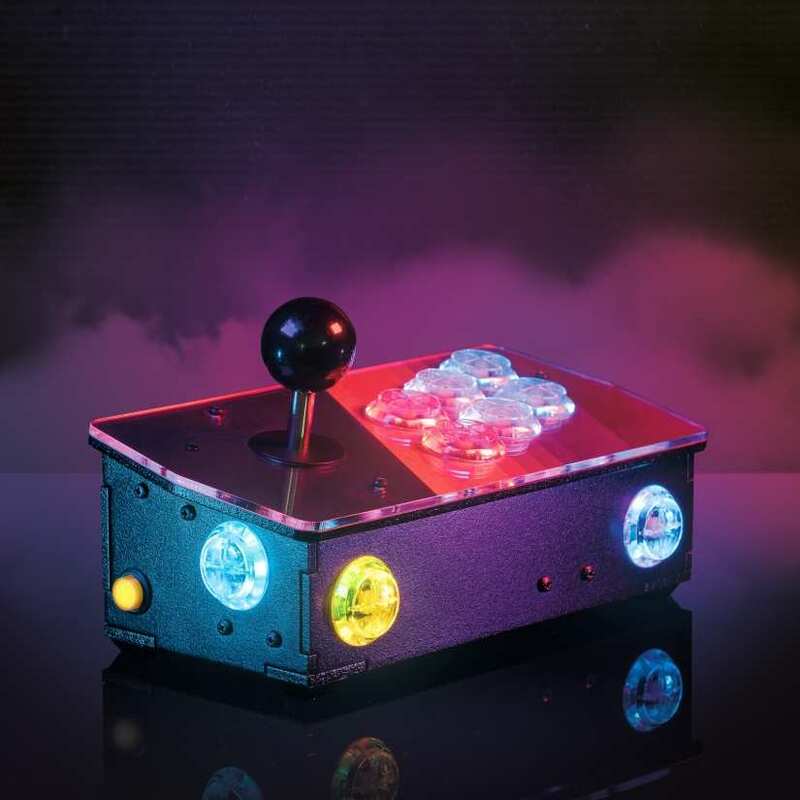 Try building a Raspberry Pi Zero arcade cabinet. 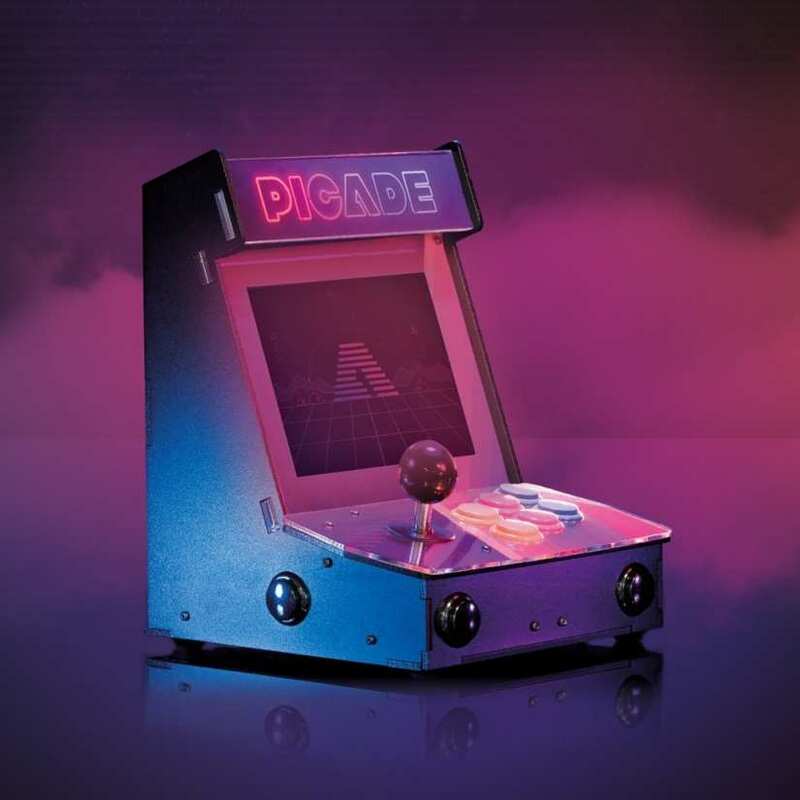 We went hands-on with the Picade kit earlier this year and we were truly blown away by the simplicity of building a cabinet based around the Raspberry Pi 3B. In the box, you get everything you need, well except for a Pi. Installing Retropie and configuring the controls is handled via an install script, then all we need are our games and some friends to enjoy this magnificent kit. Yeah, it is expensive, but you get a lot for your money, including great documentation and support! So grab some quarters and relive the good ol’ days of gaming! Do you need a little more power from your single board computer? Do you still need access to the Arduino GPIO? 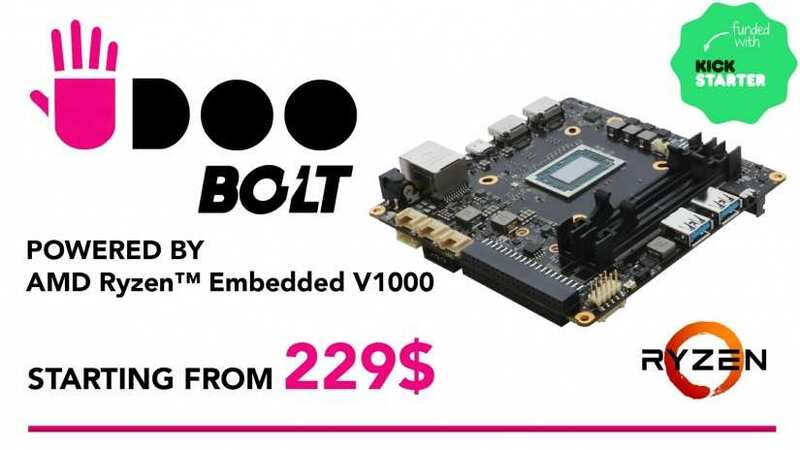 Well, the Udoo Bolt is awesome and we had the chance to see one at MakerFaire Rome earlier this year and it is a beast. Featuring an AMD Ryzen CPU rated up to 3.2GHz and a built-in AMD Radeon Vega 3 GPU this board is powerful! It can take up to 32GB of RAM and has fast eMMC flash storage meaning that this is a desktop PC in SBC clothing! The Arduino Leonardo side of the Bolt also offers the ability to create projects using the Arduino, and even use the low power Arduino to ‘wake up’ the main system ready for serious power! Or, snag a UDOO x86 which is ideal for loads of neat projects. Overall, there are tons of holiday gifts for makers. 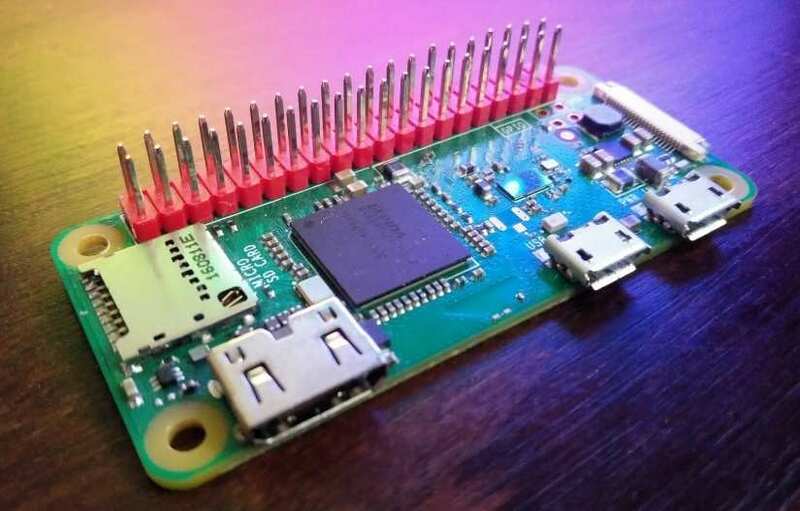 For beginners, a Raspberry Pi 3 B+ or Raspberry Pi Zero provides a bevy of uses. More seasoned hobbyists may enjoy a robotics kit like the Gigglebot. If you’re willing to drop some serious cash, the UDOO BOLT or Picade are excellent options, and I’ll gladly offer my address so you can send one my way if you’ve got the finances. Just comment below. What holiday presents are you getting the special makers in your life?